Michael Stampfer is Managing Director of the Vienna Science and Technology Fund (WWTF) since 2002. WWTF was set up in 2002 as a private non-profit funding organisation for scientific research in Vienna. WWTF funds larger projects and group leader positions in Vienna in fields like Life Sciences, ICT, Cognitive Sciences or Applied Mathematics. Michael holds a doctoral degree of the faculty of law of the University of Vienna. He has long time experience in the field of Austrian and international research and technology policy and has authored / co-authored many publications. As well, Michael is a co-founder of the Austrian RTD evaluation platform FTEVAL. 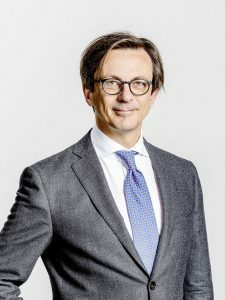 He has been member of different EU working groups and involved in a number of international projects including different OECD innovation reviews. Among various EU project participations EURECIA in FP7 dealt with ERC early impacts and ways to detect and assess them.